The Bundesliga is the mother of all Bundesligas around the world: the original and still the best. It can also be considered the Bayern Munich Invitational, as there is but one club that is associated with greatness in Germany’s top flight. Here on The Stoppage Time, we have predicted that it will be a straightforward defense for the Bavarians but they will be tested by the regulars and a certain upstart outfit. Wilkommen…to the 2017-18 Bundesliga Preview on TST. A comfortable 15 point cushion and just two league defeats made it smooth sailing for Carlo Ancelotti’s Bayern Munich as they won their 27th Bundesliga crown, one of many records. Philipp Lahm may have retired from the side but others are ready to step up. The club acquired James Rodriguez as part of a loan deal with Real Madrid. James joins a stacked Bayern list that includes Robert Lewandowski, Thiago Alcantara, Rafinha, Kingsley Coman, Arturo Vidal, David Alaba, Joshua Kimmich, Manuel Neuer, Franck Ribery, and Thomas Muller while Douglas Costa is heading to Juventus on loan. In short, the road to the Bundesliga plate will once again go through Bayern. Always has, always will. Steel yourselves accordingly, Deutschlanders. Your true test awaits. Ralph Hassenhuttl’s RB Leipzig has also gone through great pains to ensure its list remained relatively intact after a breakout year that saw them make the UEFA Champions League. Midfielder Marcel Sabitzer and forwards Timo Werner and Emil Forsberg anchor the team, which also includes defender Willi Orban, midfielder and captain Dominik Kaisae and Guinean midfielder Naby Keita. Forward Jean-Kevin Augustin comes from Paris Saint-Germain and will look to translate his title-winning success at PSG into valuable minutes and form with Leipzig. Peter Bosz is the new manager at Borussia Dortmund, having had relative success at Eredivisie powerhouse AFC Ajax Amsterdam. The future of the club, Christian Pulisic, will look to leave a grand impression as he looks to produce on three fronts: FIFA World Cup Qualification, the UEFA Champions League and the domestic competitions. Other players that should deliver for BVB include defender/captain Marcel Schmelzer, forward Marco Reus, midfielder Mario Gotze, defender Park Joo-ho and midfielder Shinji Kagawa, Striker Pierre-Emerick Aubameyang has drawn interest from as far as China but is expected to stay at Dortmund if no offers from rivals are signed off in time. Let’s talk child prodigies. Let’s talk boy wonders…in managing. Julian Nagelsmann won’t turn 30 until late July. He’s only been manager of TSG 1899 Hoffenheim since 2016 and already he has led them to the playoff round of the UEFA Champions League. Win or lose in that round, this upstart side is going to be playing in a continental competition; it’s just a matter of which one. Hoffenheim’s list may not have the big names of the big three but it has some names to watch in midfielder Eugen Polanski, forward Sandro Wagner, forward Andrej Kramanic, midfielder Lukas Rupp, defender Benjamin Hubner, midfielder Kerem Demirby and midfielder Florian Grillitsch. Peter Stoger is back as manager of FC Koln, and with the club holding steady in fifth place, more of the same can be expected this season from the billy goats. Anthony Modeste has been sent to Chinese club Tianjin Quanjian on loan, but Koln still have others that can step up, including forward Yuya Osako, defender Frederik Sorensen, forward Sehrou Guirassy, defender Jonas Hector, midfielder Matthias Lehman, forward Artjoms Rudnevs and goalkeeper Timo Horn. Pal Dardai also returns to his managerial post at Hertha BSC after a sixth-placed finish in the Bundesliga. Socceroo Mathew Leckie, who plied his trade at FC Ingolstadt before they were relegated, joins the club in the hopes of seeing better fortunes at his new club. Goalkeeper Jonathan Klinsmann is Jurgen Klinsmann’s son and is hoping to earn some minutes as a backup to Thomas Kraft and Rune Jarstein. Also returned to Hertha is forward Salomon Kalou, a longtime servant to the sport. Other key players include midfielder Valentin Stocker, defender Niklas Stark, midfielder Genki Haraguchi and forward Vedad Ibisevic. It was a good first impression for Christian Streich’s SC Freiburg as they celebrated promotion to the Bundesliga with a seventh placed finish. Now, the aim to make the European competitions and maybe give the establishment (we’re looking at you, FC Bayern) something to think about. Players to watch include forward Nils Petersen, forward Florian Niederlechner, midfielder Karim Guede, defender Philipp Lienhart and American Caleb Stanko, who will hope to contribute after spending a spiel with FC Vaduz. Of Liechtenstein. Who just won their domestic football cup a world-record 45th time two months ago. And who play in the Swiss Leagues and got relegated from the top flight last year. Hey, you gotta get minutes somewhere, right? Right? We hear crickets… By the way, expect a piece talking about Vaduz and their importance to this principality later this month on TST. Alexander Nouri did well enough to ensure Werder Bremen’s survival in the Bundesliga to go with a respectable eighth-place finish, outperforming Gladbach and Leverkusen along the way. Care to aim higher and use that key of yours to open the door of opportunity, River Islanders? We knew you were… Players to watch on this Bremen team include forward Zhang Yuning, USMNT regular Aron Johansson, forward Max Kruse, midfielder Thomas Delaney, midfielder Fin Bartels, defender Luca Caldirola and the captain, midfielder Zlatko Junuzovic. It’s a strong Bremen list that should offer more of the same with room to make a push for Europe. Things didn’t go exactly to plan at Borussia Monchengladbach, and Dieter Hecking was brought in to stop the bleeding and turn back the tide of relegation. Like Nouri, he did enough to keep his spot at the post and will be tasked with spearheading a plan of resurgency for Gladbach. Forward and captain Lars Stindl returns to the club, as do forward Thorgan Hazard (Eden Hazard’s brother), defender Matthias Ginter, striker Kwame Yeboah, forward Raffael and defender Oscar Wendt. Midfielder Vincenzo Grifo comes from Freiburg, while defender Reece Oxford is on loan from West Ham United. An Italian by the name of Domenico Tedesco is getting his big break managing Schalke 04, a relative name in Germany’s top flight. He has extensive experience managing in Germany, having managed the Under-17 team of VfB Stuttgart, Hoffenheim’s Under-19s, and, just recently, Erzebirge Aue, who avoided relegation to the 3.Liga under his tenure. And, like Nagelsmann, Tedesco is relatively young at 31 so perhaps Schalke have plans to emulate Hoffeinheim’s success of going young with their gaffers. Players to watch on this Miners side include two rising Americans abroad in midfielder Weston McKennie and forward Haji Wright, former PSG midfielder Benjamin Stambouli, defender Atsuto Uchida, midfielder Nabil Bentaleb, and defender and captain Benedikt Howedes. The performance of McKennie and Wright could see them factor into future World Cup qualification cycle for the USMNT. With an underrated yet promising list and young manager at the helm, Schalke is the dark horse of this year’s competition and might actually be a whole lot of fun to watch. Nothing comes easy if you are Eintracht Frankfurt’s Niko Kovac. Faced with a task of saving the club from certain relegation, Kovac succeeded in ensuring the club’s survival and last season, Eintracht finished a respectable 11th. But there has to be some sort of urgency, if not complete urgency, if the Eagles are to soar into European competition this season. 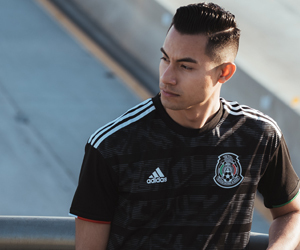 The bulk of the squad includes a few loanees: El Tri defender Carlos Salcedo (Guadalajara), forward Luka Jovic (Benfica) and forward Marius Wolg (Hannover 96). Other players to watch include the Japanese tandem of Makoto Hasebe and Daichi Kamada; forward and captain Alexander Meier, midfielder Gelson Fernandez…and USMNT defender Timmy Chandler. This is sure to be a breakout year in particular for Salcedo, who, not too long ago, spent some time with a certain club in Major League Soccer called…Real Salt Lake (2012-13). Leverkusen, being the brand they are, needed a new manager. Enter Heiko Herrlich, another rising name coming from the lower leagues. As with Tedesco, this is his big break, having come from a 3.Liga side in SSV Jahn Regensburg, based in Regensburg, an 80-minute drive north of Munich but based in the same Free State. By the way, they were promoted to the 2.Bundesliga and are effectively in the same division as Ingolstadt, who are just over an hour away. But when Leverkusen see a rising name, they are quick to take a gamble, and there is a chance that the BayArena will be rocking again, and maybe Chicharito getting a new lease on life in the Bundesliga. Who knows…. Aside from Hernandez, other players to watch include midfielder and captain Lars Bender, defender Wendell, defender Tin Jedvaj, midfielder Karim Bellarabi, forward Leon Bailey and midfielder Charles Aranguiz. Another manager hired midseason that earn his dues to be the full time gaffer is FC Augsburg manager Manuel Baum. A 13th placed finish for Augsburg means there is a clear and direct need for some changes to the list while keeping the producers from last season. And those producers happen to be forward Alfred Finnbogason, forward Raul Bobadilla, defender and captain Paul Verhaegh, the Korean pair of Ji Dong-won and Koo Ja-cheol, and Japanese midfielder Takashi Usami. Ahhhh, at long last, the taste of survival. It’s worth taking your shirt off and surfing into a most pit of delirious support until the sun goes down on the Fatherland. It was hard luck hard life at times for the likes of Markus Gisdol’s Hamburger SV, but in this part town, there came a freighter. The name of the freight ship? Survival! And it came to port, just in time, on time, and the right time to trigger party time in the home of the Scorpions! This year’s Hamburg side will hope for better fortunes ahead after a drop in form forced a managerial change and another gaffer earning his full time dues. USMNT striker Bobby Wood, the Flyin’ Hawaiian, is back with a vengeance, as is defender and captain Gotoku Sakai, midfielder Lewis Holtby, defender Seo Young-jae, midfielder Filip Kostic and defender Kyriakos Papadoupolous. With the only the direction being, it’s surely time for Hamburg to rock the Bundesliga like a hurricane! Another club that was on the mend was Mainz 05, who also survived the drop. They have a new manager in charge in Sandro Schwarz. Unlike some of the new managers who hail from lower division, Schwarz is effectively getting a call-up from the second team which he managed the last two years. Can’t get no worse, eh Carnival Club? The O-Fives will look to stay alive with a jump and jive minus the wail with a list that includes goalkeeper Rene Adler, forward Yoshinori Muto, midfielder Levin Oztunali, midfielder Fabian Frei, defender Niko Bungert, midfielder Jairo Samperio, defender Giulio Donati and forward Pablo de Blasis. One new face that could factor into a productive season for Mainz is the addition of defender Abdou Diallo. His last club? AS Monaco. Yeah, that AS Monaco, the world-beaters from the principality and PSG’s bane of record, its bete noire. Like we said, it can’t get any worse. Andries Jonker’s VfL Wolfsburg have the same dilemma as other European names such as Lyon and Montpellier in that the women’s teams are far superior and more recognized. But don’t sell the Wolfsburg men short. They HAVE won the Bundesliga (2008-09), DFB-Pokal (2014-15) and DFL-Supercup (2015) once each. Yeah, once, that’s it. But it’s better than nothing and that’s gotta count for something. Speaking of something, something about this Wolfsburg team is that they survived the promotion-relegation playoff with Eintracht Braunschweig to stay up. However, they lost a key player in Julian Draxler to Paris and so have been forced to improvise by enlisting the services of USMNT regular John Brooks and forward Mario Gomez. Other key players to watch include defender Jeffrey Bruma and midfielder Yunus Malli. This won’t be an easy year for the Volkswagen team, but if there is one club that can drive their way to staying at the top, it’s the team whose arena is named after Volkswagen. So long to Ingolstadt 04 and Darmstadt 98, who have been revealed after two seasons to be outright noncompetitive and worthy of relegation to the 2.Bundesliga. Enter two well known names associated with regular life in the top fight. The first of these clubs is VfB Stuttgart, the Mercedes Benz team. Their manager is a former Borussia Dortmund man in Hannes Wolf, who rose through managing BVB’s youth teams before getting his first meaningful gig at Stuttgart. And thus, the Red Swabians hit cruise control in Wolf’s first season, rolling into the first division style, strength and swagger. Zu geil! Wunderbar! But Stuttgart want more, and they’ve hit the asphalt running with a good list featuring players such as former A-League and current Socceroo goalkeeper Mitch Langerak, former Bayern forward and USMNT face Julian Green, forward Takuma Asano (on loan from, no surprises, Arsenal), midfielder Carlos Mane (on loan from Sporting Lisbon), forward Josip Brekalo (on loan from Wolfsburg, Porsche test drive anyone? Ahhhh…), former OGC Nice standout and Greek wonderkid striker Anastasios Donis, defender Emiliano Insua and the captain, midfielder Christian Gentner. As a side note, BMW is another car brand, based in Munich. The irony: they are Eintracht Frankfurt’s kit sponsors. Once upon a time, Hannover 96 had hit rock bottom. They finished at the foot of the Bundesliga and went so far as to introduce a rather…bold yet adult-themed way to celebrate their drop. Or rather, commiserate. Enter Andre Breitenreiter, who was unceremoniously dumped in similar fashion at Schalke not too long ago. As with Thierry Laurey’s managerial road to redemption with Strasbourg, Breitenreiter has returned to managerial life in the Bundesliga with a second place finish in the second division. The objective for this season is simple enough: stay up and perhaps get some people talking about bigger and better things. Players to watch include midfielder Salif Sane, forward Martin Hamik, midfielder and captain Manuel Schmiedebach, defender Felipe, forward Chalison Benschop and forward Uffe Bech.